Misr International University is always keen to organize and play a role in serving society. 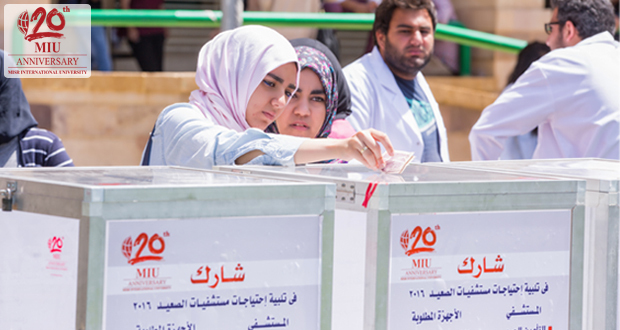 Accordingly, MIU has organized an event to celebrate and deliver donations to the Upper Egypt hospitals and invited all the students and staff to attend and participate in the event. 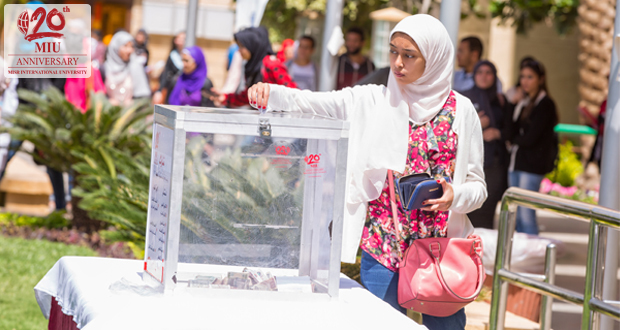 The event was held on the 4th of April, 2016 at 10:00 in the Pharmacy’s garden.